Police spokesman reports that foreign airstrikes claimed lives of 42 militants and injured 17 in the southern Afghanistan province. MOSCOW (Sputnik) — Foreign airstrikes have killed 42 militants and injured 17 others in Afghanistan's southern Kandahar province, police spokesman Abdul Razzeq said Friday. 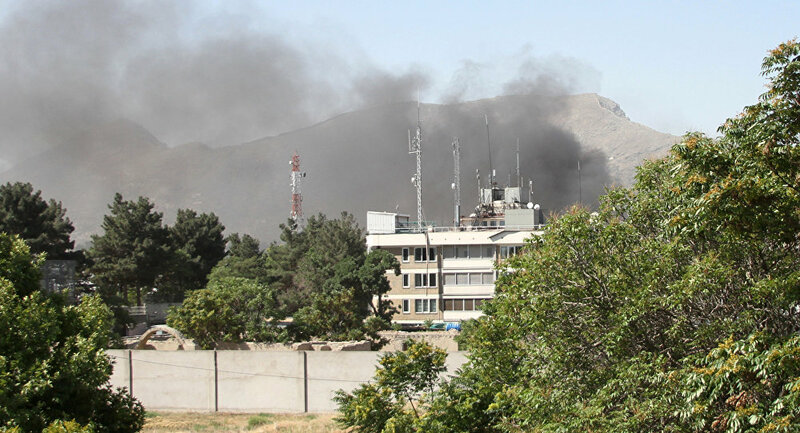 The NATO strikes in Kandahar's Shah Walikot district on Thursday came in response to previous attacks on security forces' checkpoints, according to the Afghan news agency Pajhwok. It was the second heaviest airstrike carried out by foreign forces since the announcement of NATO's new mission in Afghanistan, the outlet said. The United States and its allies launched a military operation in Afghanistan in 2001 in the wake of the 9/11 terror attacks. The mission in Afghanistan ended in 2014. In January 2015, NATO announced its new mission in the country, called Resolute Support, to train and assist the Afghan security forces in their operations to combat terrorism in Afghanistan.